The website www.fundit.ie (“Website”) is operated by Business to Arts Limited, trading as Fund it (“we” or “Fund it”), a company limited by guarantee not having a share capital, registered in Dublin, Ireland with registered office at Lower Ground Floor, 17 Kildare Street, Dublin 2, D02 P766, and registered company number 134968. Business to Arts is also a charity with CHY number 9871. If you are under 18, you are not permitted to use the Website and therefore you should not provide any personal data to the Website. In registering with the Website, you will need to provide your name, email address, confirmation you are 18 or older and submit a password. You must keep your password secure at all times to avoid unauthorised use of your user profile. You may also submit a photograph and provide other personal data for your user profile – disclosure of this information is voluntary. If you are making a pledge for a project which is seeking funding on the Website, then you will need to provide payment information, including credit/debit card details, to a third party payment services provider (Global Payments), occasionally, where there has been an issue with the processing of a pledge, you may provide your credit/debit details directly to us so that we can process the payment directly with our payment services provider. We do not store or keep this information on file and destroy this information once the payment has been processed. You may change your details on the Website at any time by accessing your user profile. If you submit a project to the Website, you will need to provide your contact phone number. Fund it’s moderation process requires at least one phone conversation with a project creator to talk through the project idea, test the fundability, check the campaign and communications plan and ensure your network is primed and ready to support your idea. We collect a certain amount of statistical information concerning usage of the Website. For example, logs of the number of visitors to the Website, pages visited by those visitors and so on. We also keep records of your computer’s internet protocol address (IP address) when you access the Website to enhance your experience on return visits to the Website. We will only use your personal data in connection with the fundraising service provided via the Website (“Service”), to manage your user profile or to otherwise facilitate your use and enjoyment of the Website. We also use your personal data in order to respond to your requests and keep you updated and informed about the Service and the Website. Where you have registered on our site, we may communicate with you in the future by mail, email and telephone in accordance with marketing rules. If you have a User profile, you can change your contact preferences at any time by visiting the section entitled “Notifications” and you can opt-out of receiving marketing communications from us at any time by contacting us on admin@fundit.ie or by following the opt-out instructions in the relevant marketing communications. Fund it will not send you our email newsletters unless you have opted in to receive them. All newsletters from Fund it include an unsubscribe option. You can unsubscribe from these newsletters at any time. If you are making a pledge for a project, you may do this anonymously and your name will not appear on the public view of a fundraising page. If you provide any personal data directly to the creator of a project who is seeking funding through the Website (“Project Creator”), the Project Creator is responsible for all uses made by it of your personal data and Fund it has no liability in this regard. If you have selected to receive a reward, Fund it will provide your name, email and chosen reward to the Project Creators on completion of a successful project. In order to collect, use, share, and otherwise process your information for the purposes described in this Notice, it is necessary for the purposes of Fund it’s or a third party’s legitimate interests, such as those of users and others, provided that those interests are not overridden by your interests or fundamental rights and freedoms. Facilitation of Funding Platform: We use your information to facilitate our website and platform in order to provide the Service to both pledgers and Project Creators in order to help you benefit from the Services. Keeping our Services Safe and Secure: We use your information in certain instances as necessary to pursue our and your legitimate interests of keeping some of our Service, such as our domains, websites and apps safe and secure. For example, we collect IP addresses and process log files to ensure our website and apps are not subject to fraudulent access. Providing, improving and developing the Services: We use your information as necessary to pursue our legitimate interests in tailoring and improving our Services. Examples of this include, but are not limited to, sending you a survey or questionnaire to understand your experience in using Fund it. Fulfilment of a Contract: We use your information to facilitate our website and platform in order to provide the Service to both pledgers and Project Creators in order to help you benefit from the Service and perform our contractual obligations to you. Marketing: Where we collect, use, disclose your information for direct marketing purposes where you have consented to the receipt of such communications. Legal obligation: We may disclose your information to law enforcement authorities and other third parties in order to comply with our legal obligations. Legal Claim: We may process your information as necessary in order for us to establish, investigate or defend a legal claim. Event Organisation: From time to time we may invite you to speak at our events. We store your personal information (such as name, telephone number, email address) using appropriate technical and operational security measures to prevent loss, misuse, unauthorised access or disclosure, alteration or destruction of your personal information. If you make a pledge, Your credit/debit card number data (and any other data provided as part of the payment process) is protected by the third party payment services provider using 128-bit encryption certificates and the Secure Sockets Layer (SSL) protocol, which aims to protect your personal and sensitive information submitted while your pledge is being processed online. In the course of providing the Services, we share information with various third parties, including Service Providers. Categories of service providers include payment service providers, IT software and hosting providers and records-storage companies. Where such third parties are processors, these third parties are contractually required to use it only to provide their service to us and not for any other purpose. Any personal information or content that you voluntarily disclose in public areas becomes publicly available and can be accessed by other users. You should therefore carefully consider disclosing your personal information via these public webpages. Fund it accepts no responsibility for any use made of information that you submit to public webpages. This policy may change from time to time, but we will notify any such changes to you by email and/or by posting a change notice on the Website. You will be deemed to have been notified of the then current version each time you use the Website. You have a number of rights in relation to your information that we process. To exercise these rights, please contact us using the details below. While some of these rights apply generally, certain rights apply only in specific circumstances. We describe these rights below. – Access: You have the right to request access to your information that we control. – Data Portability: You have the right to request that some of your personal information that you initially provided to us is returned to you in a commonly used machine readable format. – Rectify, Restrict and Delete: You have the right to ask us to restrict the processing of your information or to rectify or delete your information. Please note that despite a deletion request, we may continue to process your information if we have a legal basis to do so, for example, in order to meet our regulatory requirements as a charity. – Object: If we process your information based on our legitimate interests explained above you can object in certain circumstances. In such cases, where legally required to do so, we will cease processing your information unless we have compelling legitimate grounds to continue processing or where it is needed for legal reasons. Where we use your data for direct marketing, you can always object using the unsubscribe link in such communications or by contacting us at using the details below. – Revoke Consent: Where you have previously provided your consent, you have the right to withdraw your consent to our processing of your information at any time. For example, you can withdraw your consent to email marketing by using the unsubscribe link in such communications or contacting us at using the details below. In certain cases, we may continue to process your information after you have withdrawn consent if we have a legal basis to do so or if your withdrawal of consent was limited to certain processing activities. – Complain: You have the right to submit a complaint about our use of your information with your local supervisory authority or the Irish Data Protection Commission. c) where the exercise of such rights or performance of such obligations would constitute a contempt of court. If you would like to exercise any of the above rights please write to Fund it, Lower Ground Floor, 17 Kildare Street, Dublin 2, D02 P766 Ireland or admin@fundit.ie . We reserve the right to request you to provide additional information in order to enable us to identify your personal data and/or to verify your identity. We may retain your information for as long as necessary in light of the purposes set out in this Notice, including for the purposes of satisfying any legal, accounting, or reporting requirements and, where required for Fund it to assert or defend against legal claims, until the end of the relevant retention period or until the claims in question have been settled. We also have an obligation to retain certain information for specific periods in order to comply with our legal requirements. To determine the appropriate retention period for personal data, we consider the amount, nature, and sensitivity of the personal data, the potential risk of harm from unauthorised use or disclosure of your personal data, the purposes for which we process your personal data and whether we can achieve those purposes through other means, and the applicable legal requirements. We also consider regulatory guidance, as appropriate. Transparency is the cornerstone of Fund it, and in order for Funders and the general public to trace projects which both received money, and which didn’t, we have a policy of making sure that projects can be found through the website for at least 2 years with funders associated to the project still viewable (either by name or as ‘anonymous’). Fund it is run by the organisation Business to Arts, which is a registered charity (CHY 9871), and we are therefore audited each year, and must keep a record of all pledges on the site for six years. If you have made a pledge to a project, or have submitted a project to the site, your details will be held for financial reporting in ’pseudonymised’ form in order to remove your details from public view. Our website may contain links to other websites of interest. However, once you have used these links to leave the Website, you should note that we do not have any control over that other website. Therefore, we cannot be responsible for the protection and privacy of any information which you provide whilst visiting such sites and such sites are not governed by this privacy statement. You should exercise caution and look at the privacy statement applicable to third party website. By entering into our User Agreement, Fund it Project Creators agree to not abuse other users’ personal information. Abuse is defined as using personal information for any purpose other than those explicitly specified in the Project Creator’s Project, or is not related to fulfilling delivery of a product or service explicitly specified in the Project Creator’s Project. If you are a Project Creator, you agree that you will protect the confidentiality of pledgors (i.e. persons who have pledged to your project) and will not communicate with pledgors in such a way that the identity of pledgors will become known to each other. Consequently, you should always use the ‘bcc’ field when sending email communications to multiple pledgors. You acknowledge that you are acting as an independent data controller in respect of user information. If you are a user and are unhappy with a Project Creator’s use of your information, you should, in the first instance, contact the relevant Project Creator to raise your concerns. 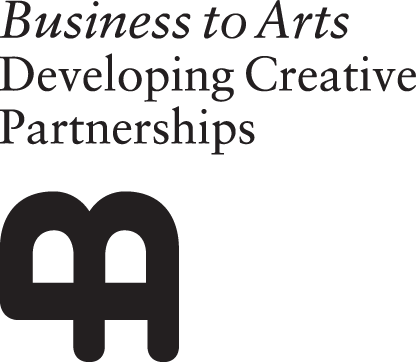 © 2017 Business to Arts.